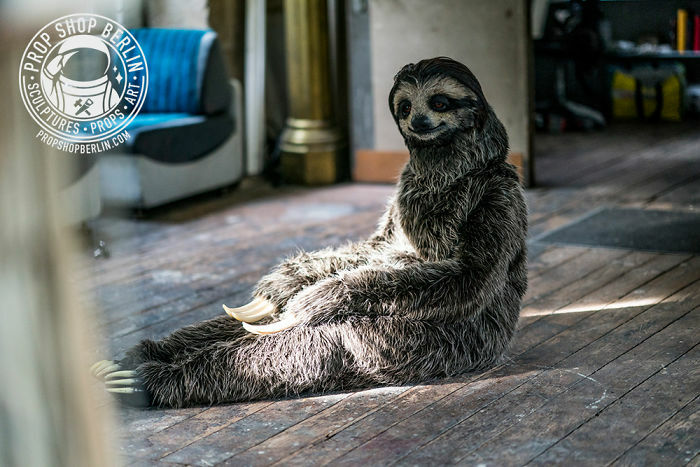 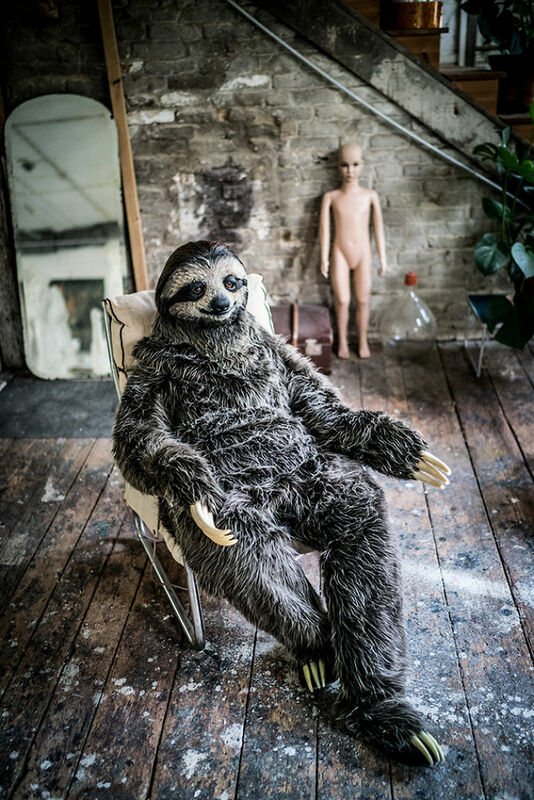 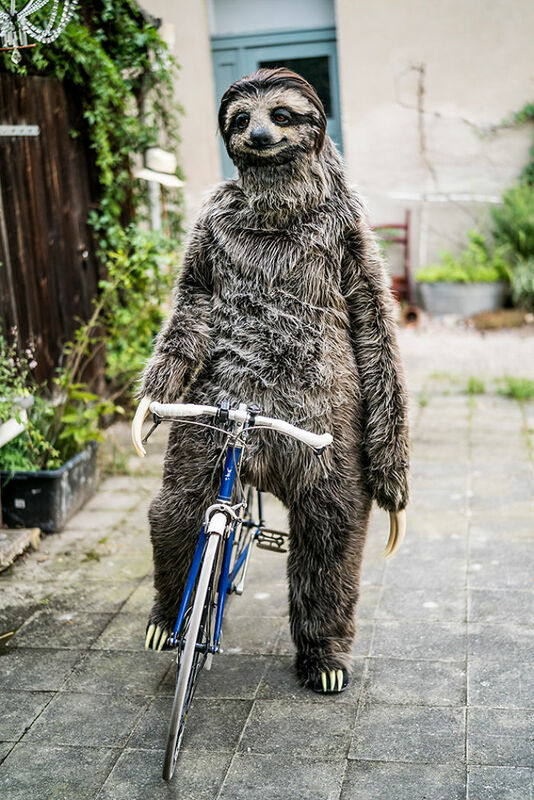 Check out this incredibly adorkable realistic sloth costume from prop maker Karoline Hinz. 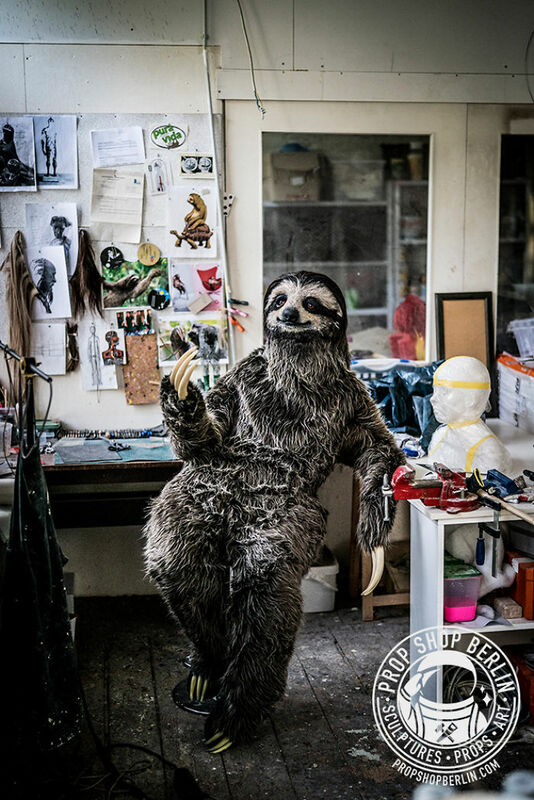 I am a sculptor/propmaker/costume designer and had the chance to make this lifelike sloth costume last year. 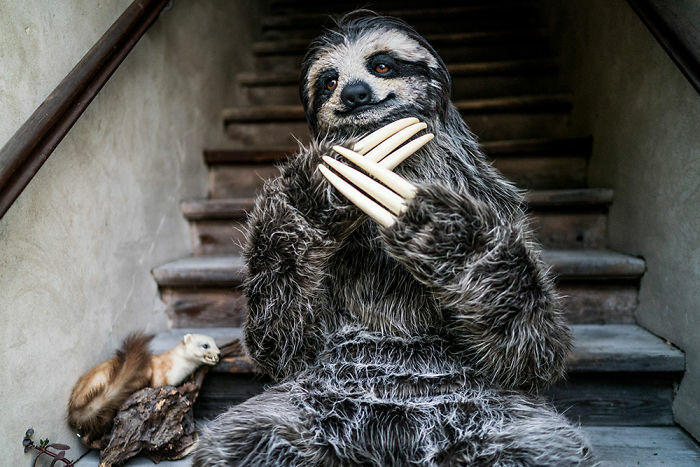 How could I resist, sloths being my favorite animals on this planet. 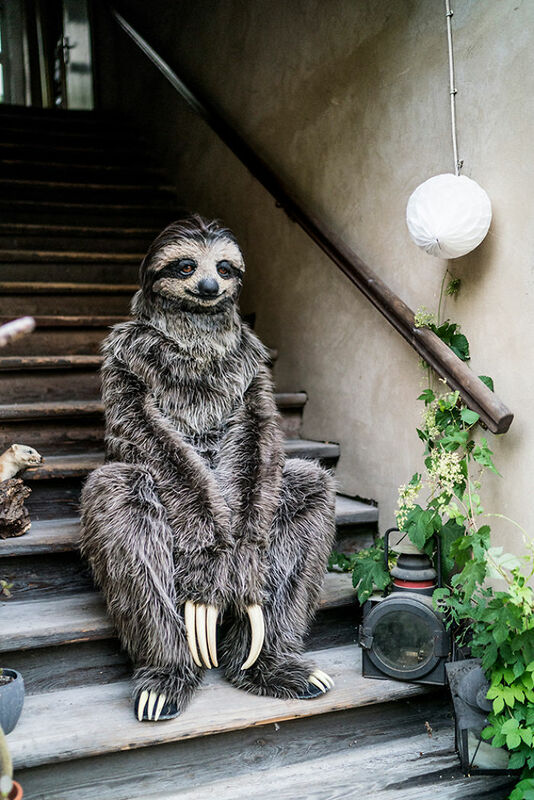 It’s a two-layered padded bodysuit, separate movable extended claw-gloves, claw-slippers and of course the head. 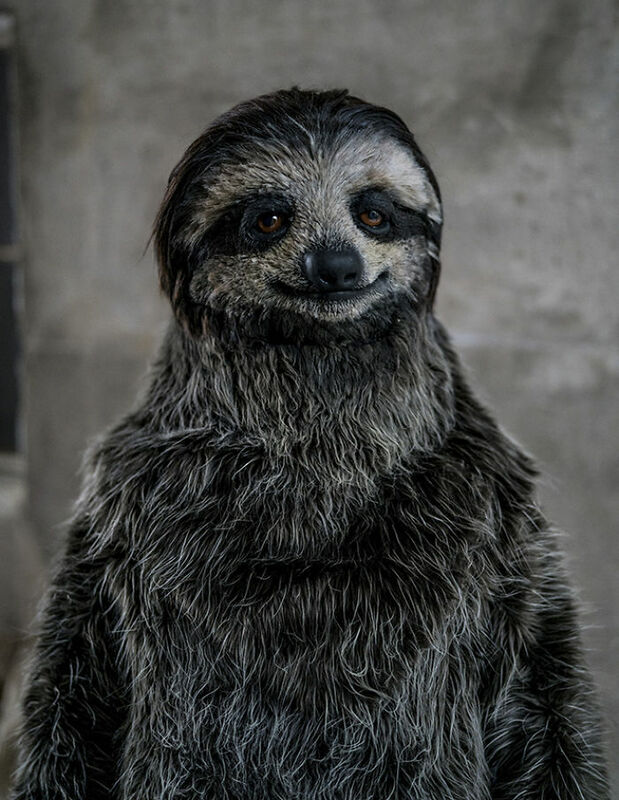 The face is silicone with punched hair and glass eyes. 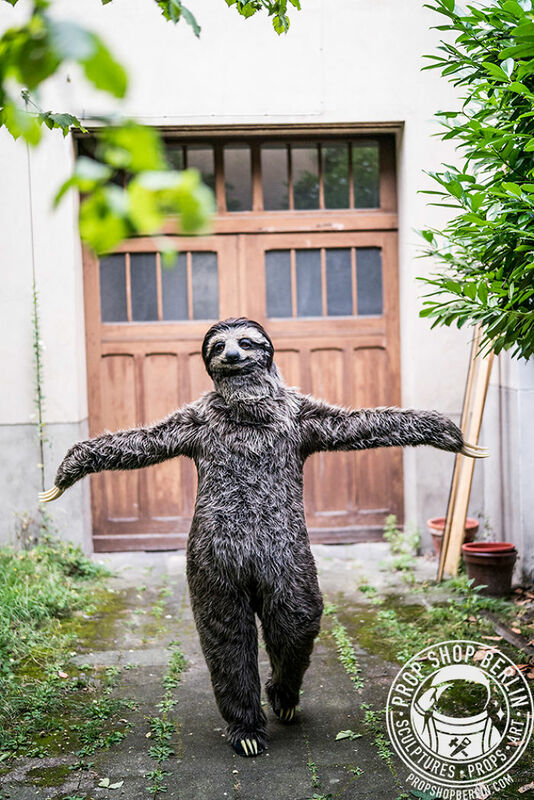 Give him a hug!